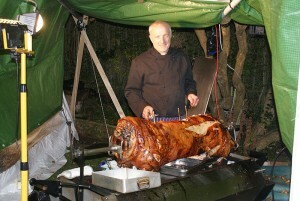 Under the guidance of Peter Foster who has over thirty years experience in the leisure and drinks industry he has created a unique one stop catering and hire business to provide all your essentials to putting on a good party/event or just providing a piece of the requirements to do so. Venue, Catering and drinks are the main three ingredients to most functions and it is our aim to assist in as many of these and more if we can because we understand how difficult it is to source and co-ordinate various suppliers with logistics, time and planning. This is why we have created Hogroast, BBQ’s and Bars of Cheshire incorporating stuff4partyhire for the more relaxed events and our sister company Brynleys Catering Ltd whom can provide the more refined style of catering in terms of buffets, dinners & banquets.